A trained pharmacist (with a secret she kept to herself about what she really thought of drugs), Chen started and grew a pharmacist recruiting business from 0 to 7 figures when she helped experienced pharmacists find jobs that were right for them. She was into things like Chinese medicine, and going to see chiropractors and naturopathic doctors when it wasn't as popular back then as it is now. As part of her Doctor of Pharmacy clinical degree at the University of Washington, she made up a reason and got permission to do a rotation at the Bastyr Chinese Herbal Medicine Dispensary instead of doing it at a typical pharmacy. On some level, even back then, she knew she felt trapped and stifled in a regular pharmacy and wanted to get out. As an introvert growing her business when she took her first leap of faith to start getting out of working in a pharmacy, Chen would often procrastinate doing things to market her business that her extroverted mentors told her she should be doing. It was frustrating to try to be someone she was not. Being around large groups of new people she didn't know, trying to persuade people to do things, and being "out there" networking was not her thing. After a lot of rejection and disappointment, Chen figured out an introverted way to grow her business without having to do as much marketing. 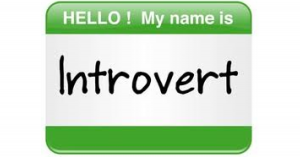 This simple introverted approach had her clients (in her first business) asking for services and willing to pay more than what was typical in the industry. This approach allowed her business to double not just once, but several times to 7 figures in less than five years. 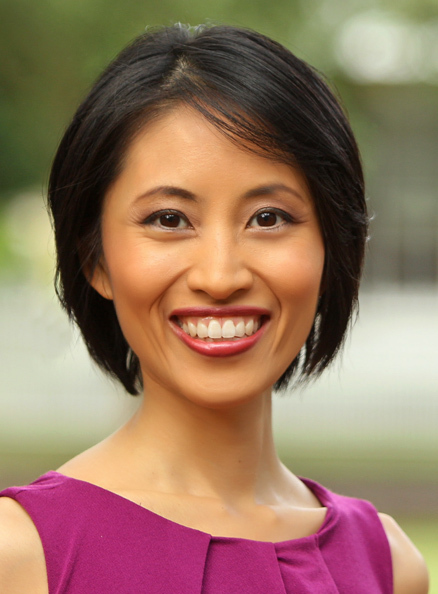 Chen is no longer hiding behind her secret and is excited to now be living her passion, helping holistic health practitioners (acupuncturists, chiropractors, naturopathic physicians, holistic MDs, and health coaches) double (even triple) their practices in 1/3 of the time it typically takes, so they can spend more time helping people. It's time to help the people who need you, and wake up the planet! Chen is a sought-after national speaker. 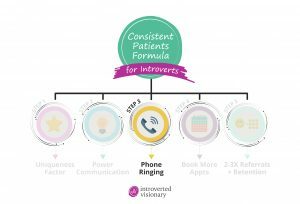 She speaks on and helps her clients through the Consistent Patients Formula for Introverts, a step-by-step process to get the phone ringing & consistent patients/clients in the door. The formula gives you the systems and structure to effectively market your practice in a way that is comfortable for who you are. It's simple AND attracts a steady flow of patients. For holistic health practitioners who are wanting to scale their practices sustainably beyond just seeing patients 1-on-1, the Introverted Visionaries 6 & 7-Figure system fast tracks holistic health practitioners to multi-6 and 7-figures. Her belief is that holistic health practitioners don't have to struggle with inconsistent income when they choose to follow a step-by-step system that works. 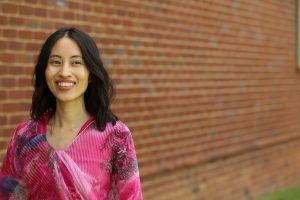 Chen's mission is to change the way the planet treats illness and health. This can only happen if holistic health practitioners get the word out there about their work & healing. Your patients and clients need you--don't be a best kept secret! Simple. With Authenticity and Ease. Double My Revenue Now (without double the work)! We love to uncover the next best step that will bring you new patients and/or another stream of income quickly. We don't believe in the next best thing hype, but what’s right for you. Growing a fulfilling practice should be fun and easy! It drives us crazy if clients don’t get results, so everything we offer is backed by a love it or we'll make it right guarantee. 1. Be a trailblazer or go against the grain. Think outside the box. Don’t do what everyone else is doing. The more unique you are and the space you claim, you will attract the right clients to you. 2. Create the plan, then go with the flow. Don’t stress yourself out. Create your unique “6 & 7-Figure Practice Makeover” plan (don’t worry, this is where I come in) and implement it quickly. Then let the universe guide you intuitively. Adapt to what the universe is telling you, then go with the flow. 3. If intuition isn’t speaking, neither should we. You don’t have to feel like you know the answers. It’s ok to be silent. When something intuitively comes to you, pay attention even if it doesn’t make sense or is not according to the plan. Our clients benefit from Chen's strong intuition, because she will stay with something they say until her intuition hits and "bam!" -- a breakthrough happens for them. 4. Procrastination is a good thing. It's a message to you about something. If you procrastinate marketing your practice, observe why you procrastinate. Forcing yourself to do what you don’t like to do is counterproductive. Go do what you love! Hire a mentor you resonate with to give you the right systems and structure for the stage of your practice you're in, or hire out the marketing role to someone good at it. Ready for it to be easier to double (even triple) your revenue now without double the work? Take the first step now.